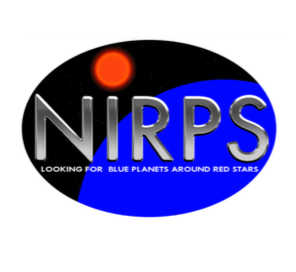 NIRPS consortium has chosen Bach Research inc. as the official manufacturer for its diffraction grating. NIRPS is a fiber-fed and cross-dispersed echelle spectrograph using an R4 (blaze angle of 76°) echelle. The collimated beam diameter of the spectrograph is ~60 mm and therefore a minimal grating size of 80 x 300 mm is required. Because of the high RV precision required (1m/s) special attention must be paid to the design of the spectrograph opto-mechanical stability. The grating must therefore be monolithic. No special fixations pads or holes are needed on the blank. The spectrograph will be operated in vacuum at an operating temperature of 80 K. The grating must be suitable for vacuum operation of at least 7 years and outgasingof the employed materials (resin, etc.) must be avoided. Bach Research will supply all material and labor to rule a new Master grating, replicate, coat, ghost test and deliver the following replica grating. Bach to push efficiency to best achievable minimum 50% holding a ghost specification to 0,001, with the goal to keep ghosting to 0,001 and >65% efficiency.